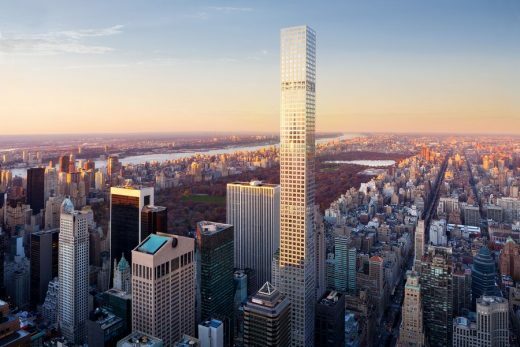 January 13, 2016 – NEW YORK CITY – The Council on Tall Buildings and Urban Habitat (CTBUH) has announced that there are now officially 100 supertall (300-plus-meter) skyscrapers in the world following the completion of 432 Park Avenue in New York City. The construction of supertall buildings has increased at an astounding rate in recent years, an indicator of the tremendous growth within the global tall building industry. 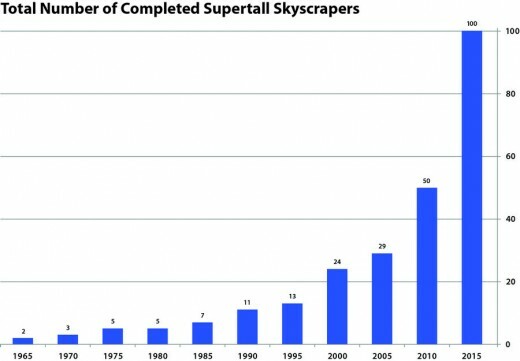 Whereas the first 50 supertalls took 80 years to complete – between 1930 and 2010 – the total number of supertalls has doubled from 50 to 100 in just five years. 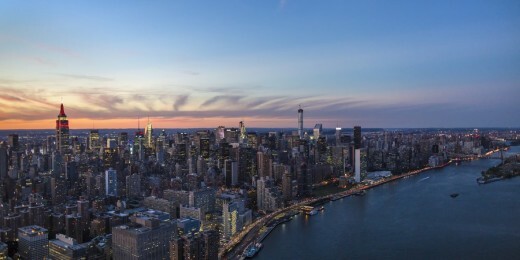 The majority of new supertall skyscrapers hail from Asia and the Middle East, mirroring construction trends that have emerged over the past decade, but New York has remained an active center for supertall construction in the Americas. 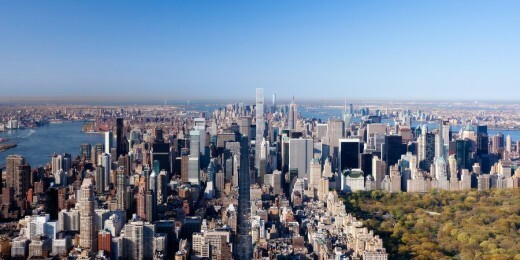 With this most recent completion – the city’s seventh – New York now has the second-highest number of supertall skyscrapers in the world. Meanwhile, Dubai continues to dominate with 18. 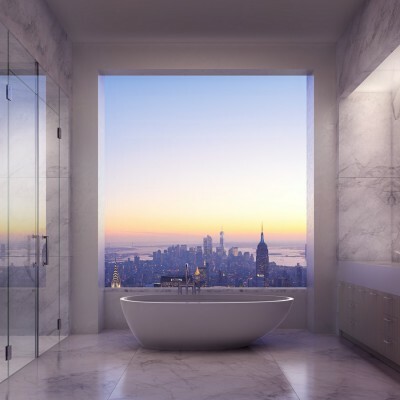 The CTBUH officially confirmed 432 Park Avenue’s completion date to be December 23, 2015, as this was when the first owners closed on their residences and the building met CTBUH’s final criteria for completion – that the building be at least partially occupiable. At 425.5 meters, it is the tallest allresidential building in the world and the 14th-tallest overall. It is remarkable not just for its extreme height, but for its slenderness as well. With a 1:15 slenderness ratio, the tower typifies the “superslim” typology that has been made possible by advances in lateral resistance technology. These buildings are particularly prevalent in dense urban areas such as New York, where limited land availability and soaring luxury residential prices justify their development. 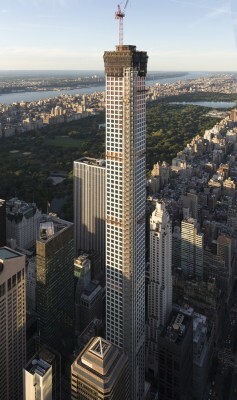 Supertall construction is poised to remain strong in the coming years. 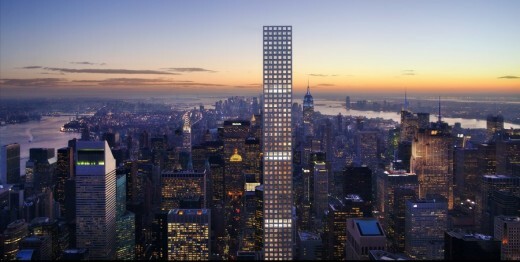 According to CTBUH data, there are well over 100 supertall skyscrapers topped out or under construction that are scheduled to be completed in the next five to six years. That includes Jeddah Tower, which will become the world’s tallest building and the first kilometer-high building upon completion. 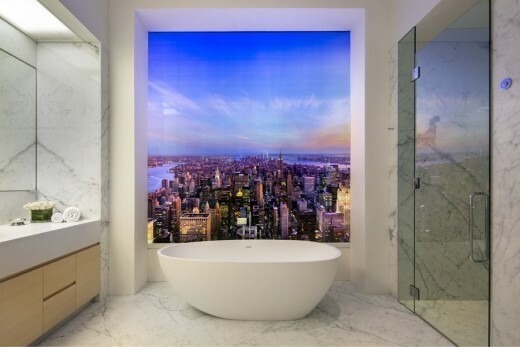 LONDON, May 28th 2013 — CIM Group and Macklowe Properties announced today that the landmark 432 Park Avenue project has achieved nearly US$1 billion in sales. 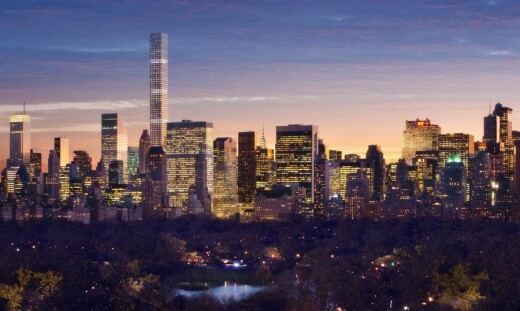 The official launch of the residential condominium sales campaign and opening of the Sales and Marketing Centre at 767 Fifth Avenue occurred in March 2013. Buyers are predominantly from the US with others from South America, the Middle East, UK, China and Russia. 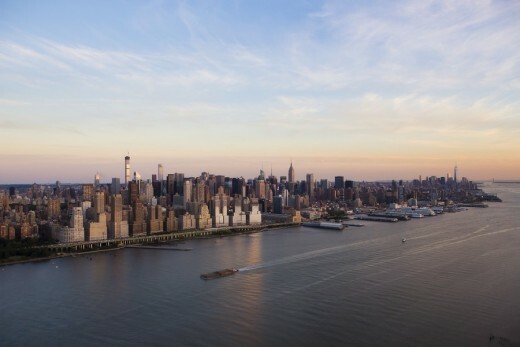 With an expected completion in 2015, the extraordinarily graceful 1,396-foot tower, designed by Rafael Viñoly, will become the tallest building in New York City and the tallest residential tower in the Western Hemisphere.